Don't operate your backup or alternative electric power system blind! Install this economical meter so you can see what is happening. 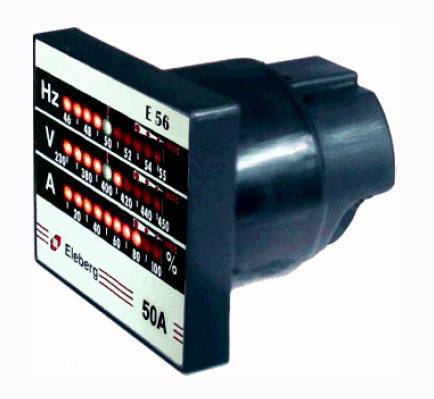 Perfect for monitoring generator parameters when your transfer switch or panel does not have meters. 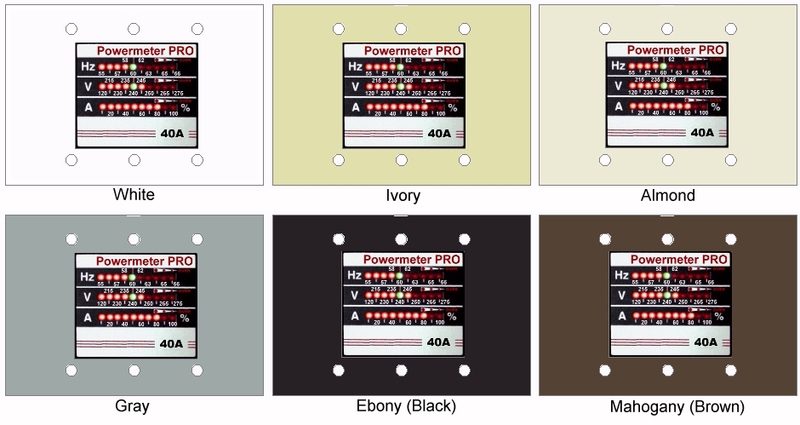 The Amp scale will show if you are overloading the generator and the voltage and frequency scales can be used to verify the generator is operating properly. This new line of instruments is designed as a cost effective alternative to the traditional separate analog panel meters and can replace up to four meters. An electronic solid-state design ensures maximum durability against vibration while a microprocessor based digital sampling technology provides maximum accuracy and stability in a wide range of environments. Can even be mounted directly on engine generator sets. Intuitive analog-style reading. Each parameter is displayed in analog format by high-luminosity color LED bar consisting of 10 dots. Voltage and frequency are displayed in real values. A central green reference dot adds further visibility to reading. Current is displayed in percent of full scale value to provide a quick indication of load condition. Overload on each parameter is indicated by a "wrap around" flashing of the last three dots proportional to the overload value. 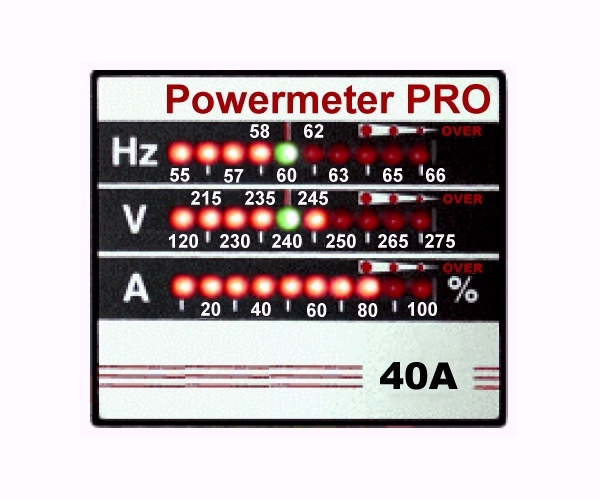 A low signal on each parameter is also displayed by flashing the initial dot. The metering window is therefore effectively 4 dots wider than the 10 dots available. Mounting: fits in standard 3-gang 3-1/2" deep wiring box using optional precut wall plate with ample room to spare. 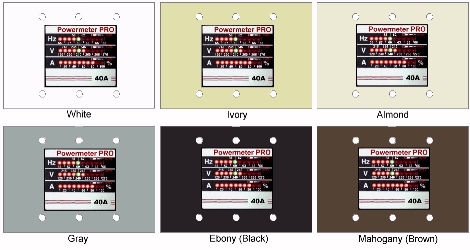 Wall plates available in multiple colors. Pre-cut wall plates available in multiple colors for a neat looking and easy mounting. Click below for detailed images.